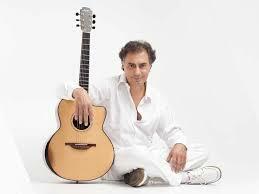 UPDATE: Pierre Bensusan has just been nominated in the Independent Music Awards for Best Live Performance for his piece “L’Achimiste,” on his album “Encore,” which honours his 40 years in the music industry – i.e., what the interview and post below are all about. Check out the nomination, and vote, on the link above; this is big stuff, as the judges are major league big…. CHATEAU-THIERRY, France – Last weekend Pierre Bensusan held a fabulous two-day event outside his adopted home town of Chateau-Thierry, located about an hour’s drive east of Paris, where he has lived for the last 21 years. They called it the 1st Salon International de Lutherie, and it consisted of an exhibition of guitars, mandolins and violins built by luthiers from around Europe, all of whom are friends of Pierre. For his part, in addition to speaking to and meeting the public in the exhibition, Pierre put on a concert on Saturday night in the wonderful concert hall in the same building where the salon took place. In addition to luthiers from around France and Germany (see my list of those present below), there was, of course, the presence of the Lowden Guitar company of Northern Ireland, showing off the latest prototype for the second Pierre Bensusan signature model guitar. 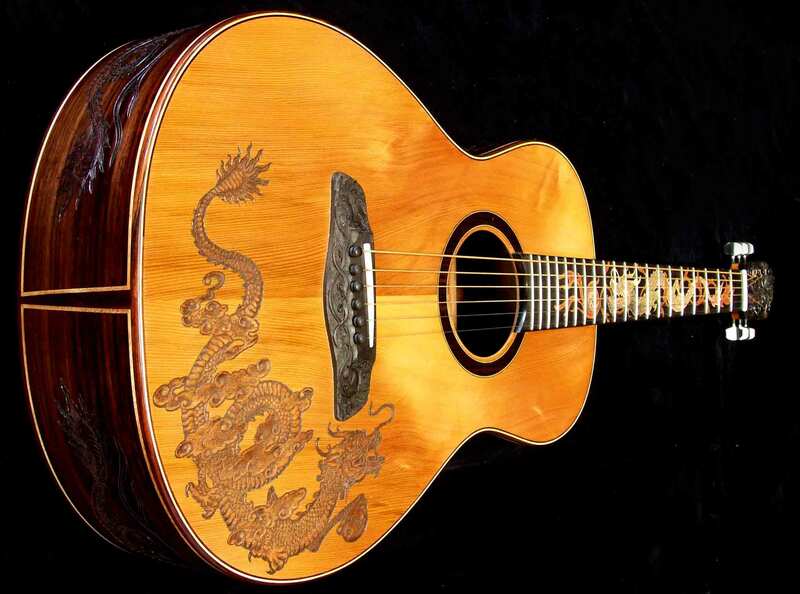 Aaron Lowden, the son of George Lowden, who is the company founder, was there to talk about the guitar, which is a modern copy of the original 1978 Lowden that Pierre used for 25 years. It was made to honor the 40th anniversary of Bensusan’s career as a professional musician, which also happens to be the 40th anniversary for Lowden Guitars, by the way. I’m hoping to write more about this craft of lutherie in some future article somewhere, but my main goal for this post was to put up on my blog the wonderful interview that I had with Pierre during the salon, which I have recorded and dressed up a little – with sounds I recorded of Pierre playing from the concert the night before, and other surprises – in the form of a podcast. The interview was a broad, wide-ranging talk about his life and music to mark that 40th anniversary of his career as a professional musician. He started out at age 16 at the American Center hootenanny in Paris, and today, at 56, he is roaming the world and earning honours and fans everywhere. He will be performing a monthlong, 50-date series of concerts in the United States starting next week, and is just finishing up a 21-date tour of France, his first here in 25 years. I’m also hoping to make this podcast the first in a series that I intend to do throughout the year as I embark on my sixth worldwide musical adventure around the world, starting with Melbourne, Australia, next week. So I’m not going to write more about the concert or the festival of lutherie. Just listen to the podcast – Pierre was a fabulous interview subject!